Sungjin Lee is a senior researcher at Microsoft Research in Redmond. He received his PhD from the Pohang University of Science and Technology. After he completed his PhD, he was affiliated to Language Technologies Institute at Carnegie Mellon University as a Post-doctoral research fellow. Prior to joining Microsoft Research, he was a research scientist at Yahoo Research in New York. His research interests lie in various areas of speech and language processing as well as machine learning. 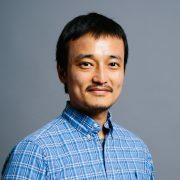 He is primarily working on statistical dialog modeling which includes the innovation in dialog state tracking to handle multiple tasks with complex goals in continuous interaction, Bayesian reinforcement learning for online dialog strategy learning and unsupervised methods for user simulation. He is also interested in building contextualized user model using Bayesian neural networks for personalized services and various NLP applications to tons of documents for content understanding.